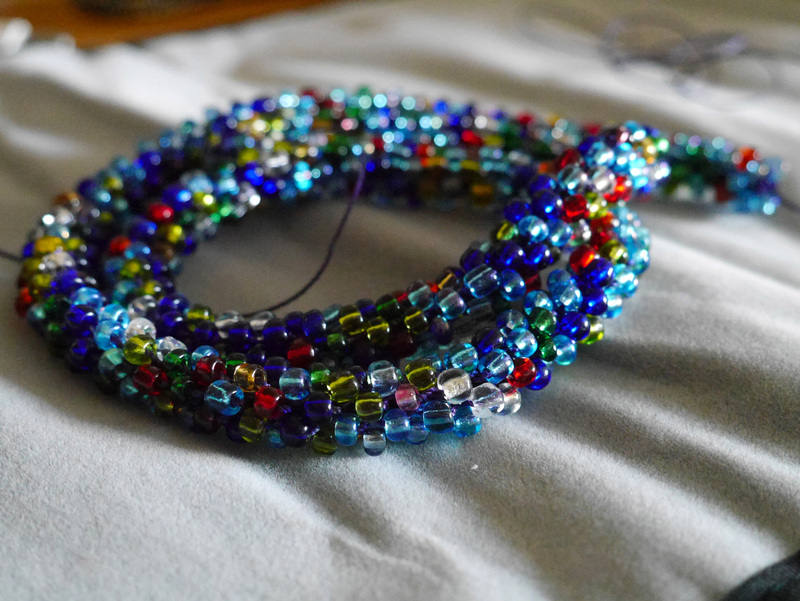 : crocheting the bead crochet necklace I started last week. 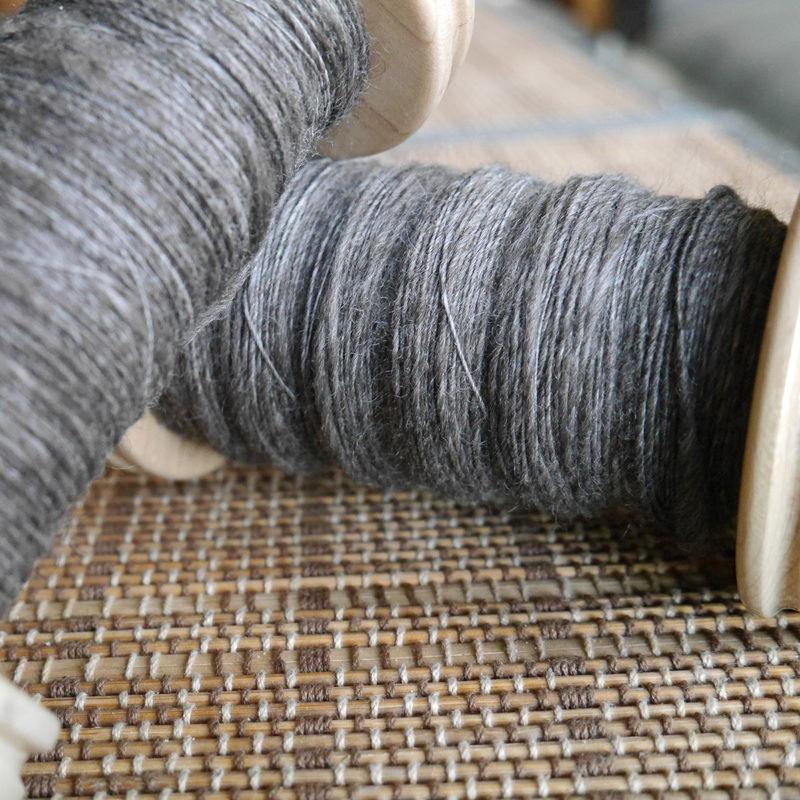 : spinning the second bobbin of a yak/merino fiber blend. : staring down the pile of pieces I need to block. How much fiber is on each bobbin, and how long did it take you to spin it? Are you going to ply it, and do you know what you’re going to knit it into? Each bobbin has about 2 oz on it, and probably took a couple hours each. No idea what I’ll knit it into, but the plan is to create a straightforward, versatile, 2-ply.